Every autumn I see chestnut flour recipes popping up on my social media feeds. I love the hot floury taste of roasted chestnuts, sold by street vendors in Austrian Christmas markets. So this year, I finally decided to find out more about this seasonal flour and started to experiment with different chestnut flour recipes and also put together my own recipe for chestnut bread. Chestnut flour is milled from dried and roasted sweet chestnuts. I’ve come across some lovely references for sweet chestnuts in my research including ‘nature’s little breads’ and ‘the grain that grows on trees’. I guess it’s a reflection of the significance sweet chestnuts had in some countries’ diets. These days, sweet chestnut trees can be found primarily in Italy and other smaller pockets across Southern Europe. Known as farina di castagne or farina dolce in Italy, chestnut flour is still considered a staple food particularly in and around Piedmont. In their raw state sweet chestnuts taste bitter but when roasted and cooked they turn into soft, floury, tasty spuds. Chestnut flour is uniquely sweet, mellow and nutty. As chestnuts do not contain the fat content regular nuts have, and are instead largely composed of easily digestible carbohydrates, chestnut flour has many of the same properties as regular flour. Making chestnut flour is easy but beware not to pick up horse chestnuts which are not edible! 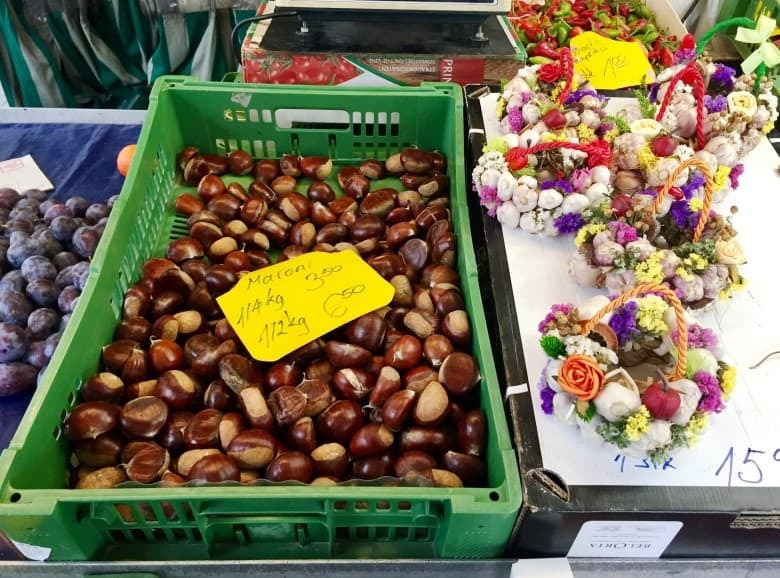 The chestnuts you need come from the sweet chestnut tree. If you have access to a flour mill, you can produce your own chestnut flour and if possible, grind the sweet flour with a stone mill. This is to preserve the flour’s natural flavouring and texture, ensuring there is no heat damage during processing in knife-based mills. Here’s how to prepare the chestnuts for milling. Remove the outer shell with a knife. Place the chestnut fruits into hot (not boiling) water. After a short while, the inner skin can be peeled of. Wash with cold water and dry. Grind into flour. Chestnut flour is gluten-free, making it a good cooking option for people with celiac disease or other gluten intolerances or allergies. However, for the same reason it can be a challenge to bake with. Use on its own or mixed with grain flour but beware that a 100% chestnut flour bake is likely to be quite dense and break up easily due to the lack of gluten. If a lot of chestnut flour is used, the flavour may be overwhelmingly sweet. 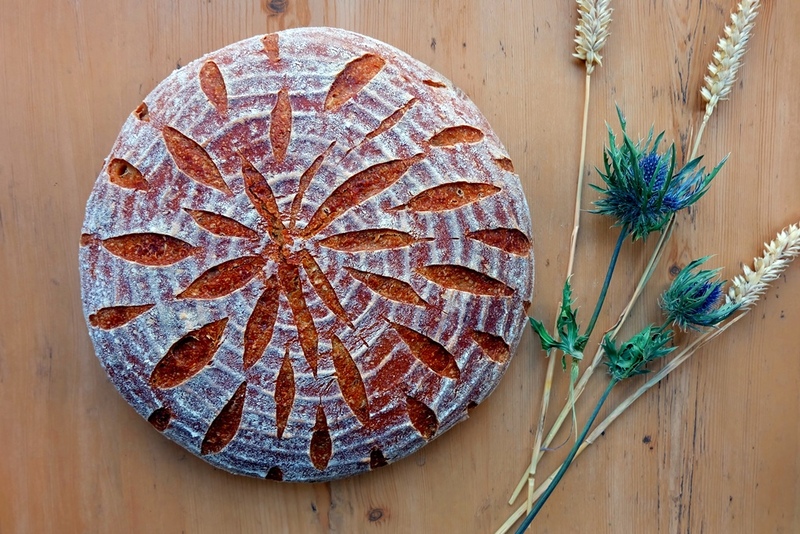 For inspiration take a look at the chestnut flour recipes below. Chestnut flour breads have a pleasant smell and taste slightly sweet. It pairs well with ingredients such as almonds, chocolate, honey, and hazelnuts. You can store the chestnut flour in a tightly lidded plastic container. Alternatively, it can be stored in a sealed bag in the freezer and it will keep its floury texture without turning into a frozen brick. There is lots you can do with chestnuts and chestnut flour. Here are some delicious ideas of how to use chestnut flour in your kitchen. 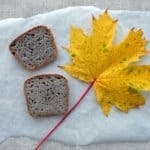 Hope you’ll find something suitable in this list of chestnut flour recipes for bread making, baking and pasta making. Castagnaccio – An ancient, rustic and unusual Tuscan delicacy; a type of Tuscan chestnut cake, like a dense, thick crêpe. Chestnut flour flatbreads or pancakes – beautiful Italian Necci pancakes are thin with crisp edges, made with just chestnut flour, water, salt and olive oil – eat plain or filled with sausage, pancetta or ricotta. I found a great recipe for gluten free shortbread which uses chestnut, hazelnut and acorn flour. Chestnut flour tortillas – Paleo tortillas made with chestnut flour, tapioca flour, water, butter and salt. Gluten free chestnut flour waffles – A deliciously unique waffle which is light in texture but hearty in flavour. Make a quiche with this recipe for rainbow chard tart in a chestnut crust. The nuttiness is delightful with the savoury filling. Here is my own chestnut flour bread recipe, using 20% chestnut flour. 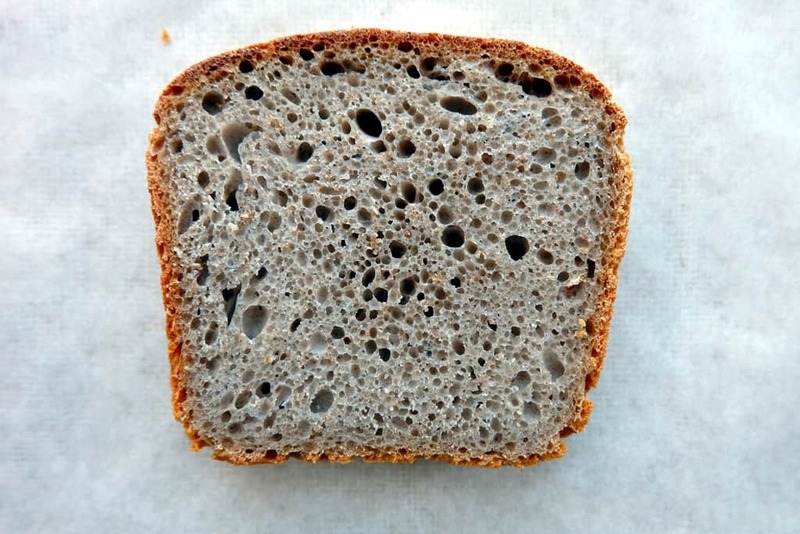 I’ve also added some dark rye flour to add additional depth to the loaf. 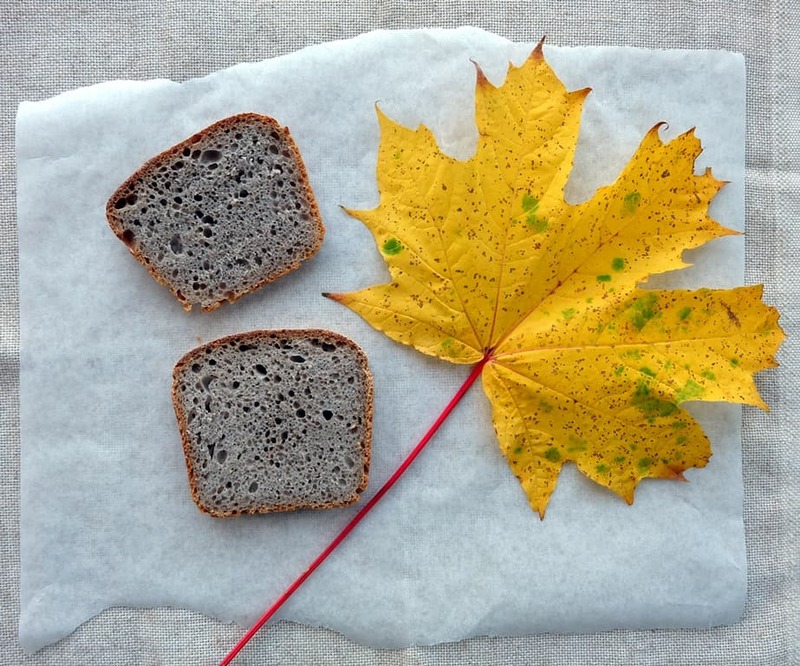 The chestnut flour flavours make this chestnut bread a delightfully autumnal treat. Combine 125g rye sourdough starter, 150g strong white flour, 50g dark rye flour and 200g water. Mix well, cover and leave to rest at room temperature for 16 to 24 hours. Combine 400g of the sourdough (the rest of it goes back into the fridge for your next bake). Add 450g strong white flour, 100g dark rye flour, 150g chestnut flour, 10g salt and 400g water to form the dough. Knead for 10 minutes. The dough will be a bit sticky but don't be tempted to add more flour. Place the dough into a bowl, cover with a lid and rest at room temperature for 1 - 2 hours. Give the dough another quick knead, then place in a lightly oiled large baking tin (mine is 31 cm x 12.2 x 8.6 x). Cover with a polythene bag and rest at room temperature for several hours until fully proved and significantly increased in size. Bake in a preheated oven at 220°C for 10 minutes, then at 200°C for a further 45 minutes.